"You don't choose your passions, your passions choose you," Jeff Bezos once said. "All of us are gifted with certain passions, and the people who are lucky are the ones who get to follow those things." In 1994, Bezos followed his passions and opened an online bookstore in his Seattle garage with $10,000 and "desks made out of doors purchased from Home Depot." Twenty-five years later, that tiny company is the e-commerce juggernaut known as Amazon. It has turned its founder and CEO into the wealthiest man in modern history, but what else do we know about the guy who blessed up with Amazon Prime? From his fast-food beginnings to his brush with death and the father who didn't know he existed, let's take a deep dive (unlike Amazon stock) into the life of this tech titan and pioneer. Alexa? Tell us the untold truth of Jeff Bezos. 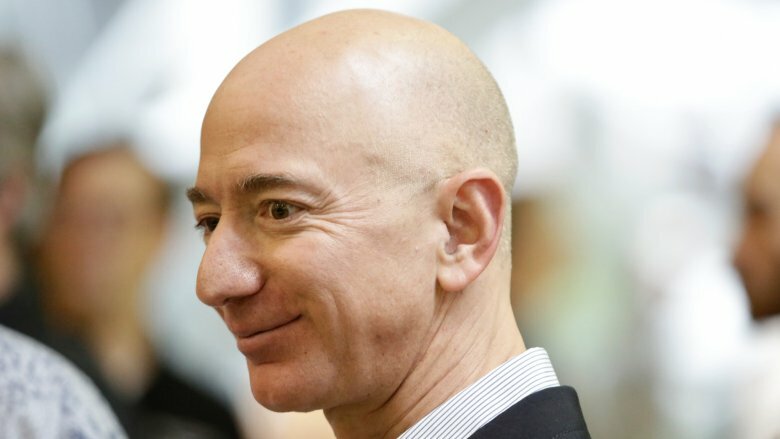 Jeff Bezos' biological father, Ted Jorgensen, had no idea he had a billionaire for a son until reporter Brad Stone, author of The Everything Store: Jeff Bezos and Amazon, tracked down Jorgensen working in a bicycle repair shop in Glendale, Ariz. in 2012. In his book, Stone writes (via the Daily Mail), "Jorgensen said he didn't know who Jeff Bezos was and was baffled by my suggestion that he was the father of this famous CEO." According to Page Six, Bezos' parents were teenagers at the time of his conception and were married for two years before his mother, Jackie, left the relationship, "taking their infant son with her." "I used to wonder all the time though whatever happened to Jeff. Then I just reached a point where I thought he was long gone," Jorgensen said of his only child. "The last time I saw him he was in diapers." Although Jorgensen admitted that he "wasn't a good father or a good husband," the former star unicyclist claimed he had wanted to reach out, but Bezos' mother allegedly told him "not to interfere." "I just want to see him as my son, just to have him acknowledge that I'm his father and he's my son. Other than that I don't want anything from him," Jorgensen said. "I'd just like to see him." Sadly, Jorgensen died in 2015, without ever meeting Jeff. Jackie Bezos was pregnant with Jeff (Ted Jorgensen's biological son) when she married Miguel "Mike" Bezos in 1964. Mike legally adopted Jeff as his own. In a 1999 interview with Wired, Jeff said, "as far as I'm concerned," Mike is his "natural father." The business mogul added, "The only time I ever think about it, genuinely, is when a doctor asks me to fill out a form." According to Wired, Mike escaped Cuban leader Fidel Castro's regime in the early 1960s and arrived in the United States as a teen, living in a Catholic mission in Delaware. After learning English and graduating high school, he moved across the country to attend the University of Albuquerque. It was there he met Jackie, and the pair married during his freshman year. The younger Bezos was 10 when he found out the truth about his parents but claimed that learning he had to wear glasses had a greater emotional impact than finding out Mike wasn't his biological dad. The spectacles? "That made me cry," he quipped. Mike's career with Exxon as a petroleum engineer reportedly helped him support his son's dreams. According to CNBC, Bezos' parents "invested $245,573 in Amazon in 1995." 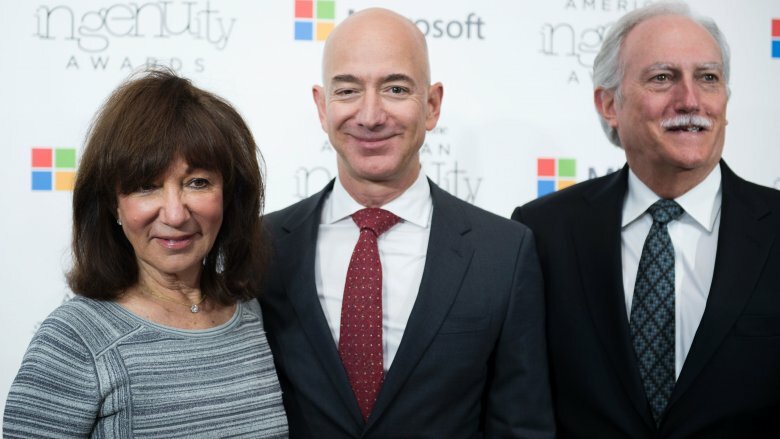 The couple also donated "nearly 600,000" of their Amazon shares to the Bezos Family Foundation. By the way, Bloomberg reported that Mom and Dad Bezos' remaining "stake could be worth almost $30 billion" as of July 2018. Two all-beef patties, special sauce, and...eggs? You have to start somewhere, right? Before Jeff Bezos decided to launch Amazon, he was serving Big Macs at McDonald's. Talking to Fast Company about his high school gig, Bezos said working as a cook at the fast-food chain taught him that customer service was "really hard." Although his bosses didn't allow him to man the counter due to his "acned-teenager stage," Bezos walked away from his time at the golden arches with at least one valuable skill. "One of the great gifts I got from that job is that I can crack eggs with one hand. My favorite shift was Saturday morning. The first thing I would do is get a big bowl and crack 300 eggs into it," he revealed. "One of the things that's really fun about working at McDonald's is to get really fast at all of this stuff. See how many eggs you can crack in a period of time and still not get any shell in them." During the 2016 election cycle, it seemed like no major news media organization was safe from then-candidate Donald Trump's "fake news" wrath. On Dec. 7, 2015, Trump unleashed a tweetstorm on The Washington Post, which Jeff Bezos purchased in 2013. 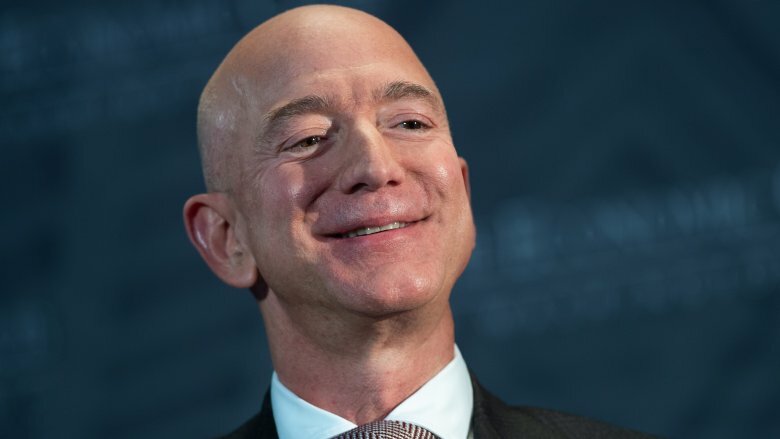 "The @washingtonpost, which loses a fortune, is owned by @JeffBezos for purposes of keeping taxes down at his no profit company, @amazon," Trump tweeted. "The @washingtonpost loses money (a deduction) and gives owner @JeffBezos power to screw public on low taxation of @Amazon! Big tax shelter," he said. (Are you sensing a pattern here?) "If @amazon ever had to pay fair taxes, its stock would crash, and it would crumble like a paper bag. The @washingtonpost scam is saving it!" Trump claimed. Hours later, Trump fired off yet another tweet to apparently let everyone know the reasoning behind his Bezos ire. "@washingtonpost is going out of its way to tell failing candidates how to beat Donald Trump. The Post doesn't get that I'm good at winning!" Bezos, in his fourth ever tweet, fired back at Trump, referencing his rocket company. "Finally trashed by @realDonaldTrump. Will still reserve him a seat on the Blue Origin rocket. 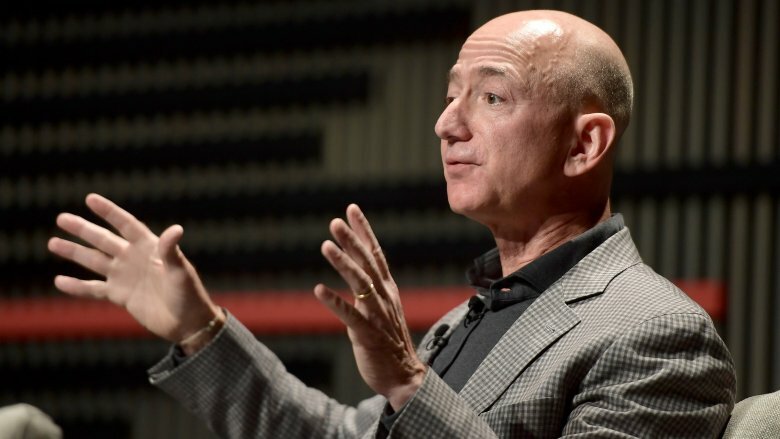 #sendDonaldtospace," Bezos quipped. 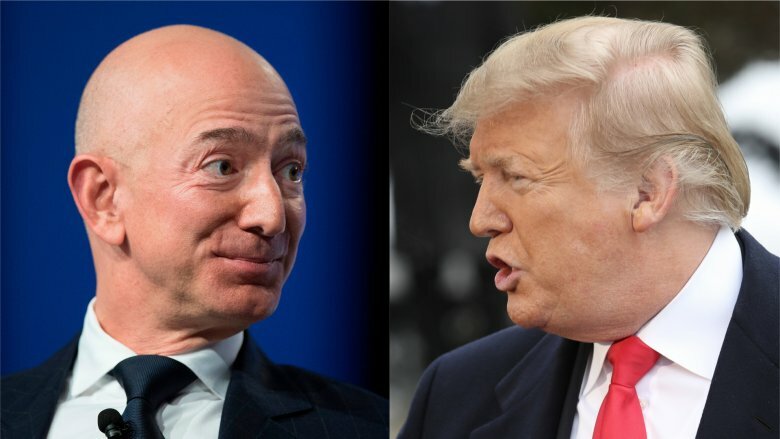 In 2019, Trump gave the Amazon CEO a new nickname on Twitter: "Jeff Bozo." On March 6, 2003, a helicopter carrying Jeff Bezos and two other passengers crashed in a mountainous region of West Texas after the aircraft's "tailboom struck a tree, causing the aircraft to roll onto its side, partially submerging it in a creek," reported The Wall Street Journal. Luckily, everyone on the bird survived, though the aircraft was destroyed. "I have to say, nothing extremely profound flashed through my head in those few seconds," Bezos told Fast Company. "My main thought was, 'This is such a silly way to die.'" He insists the crash "wasn't life-changing in any major way," but he did draw a few conclusions. "I've learned a fairly tactical lesson from it, I'm afraid. The biggest takeaway is: Avoid helicopters whenever possible! They're not as reliable as fixed-wing aircraft." Ironically, roughly 15 years later, Bezos began dating reporter and TV personality Lauren Sanchez – a licensed helicopter pilot. Jeff Bezos is a billionaire and a Star Trek fan, so you know how this storyline is going to go. Speaking at the Pathfinder Awards banquet (via GeekWire) in October 2016, Bezos revealed that he'd been "begging Paramount" for years to let him go where no tech CEO had gone before. His persistence eventually paid off. Bezos nabbed a cameo in 2016's Star Trek Beyond. "I said, 'Look, I'll put any amount of makeup on. I'll be invisible; nobody will know it's me. 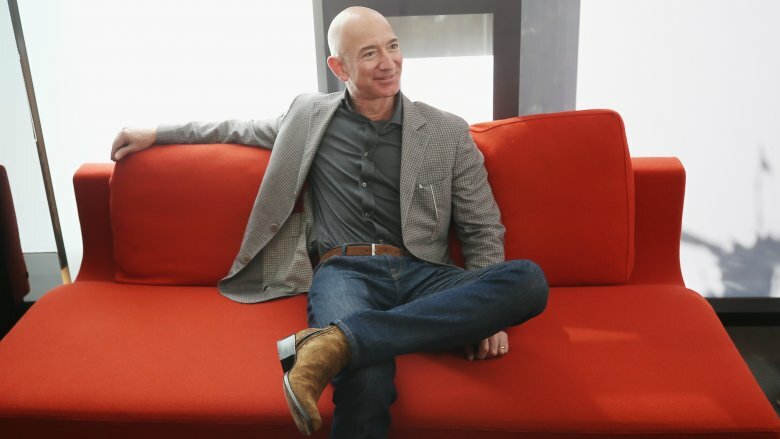 But I want a speaking part, and I want it to be in a scene that is central to the storyline so that I cannot end up on the cutting-room floor,'" Bezos recalled. "Those were my requirements, and they honored those requirements." 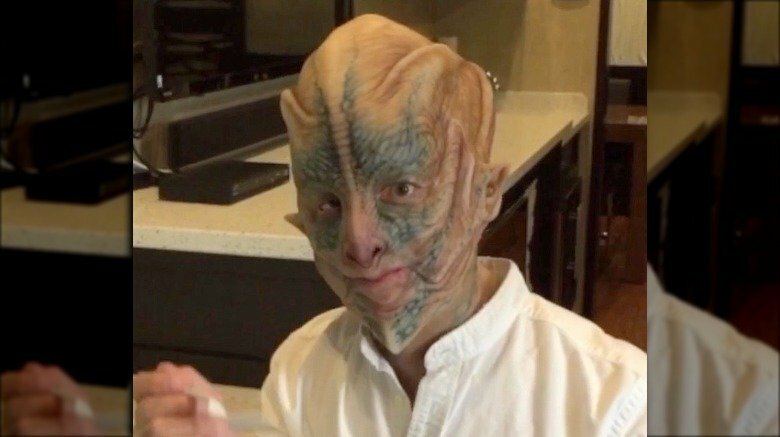 Star Trek Beyond Director Justin Lin even tweeted a photo of Bezos in full makeup two days before the film's release, calling Bezos "passionate" in his fandom. "It was super-fun for me," Bezos added. "It was a bucket list item." Nice one, Jeff. It looks like Elon Musk needs to step his game up for the next Star Wars movie. In the '90s, Jeff Bezos looked like someone who would sell textbooks online, but in 2017, the e-commerce pioneer attended the Allen & Company Conference in Sun Valley, Idaho looking like someone who could lift 90 textbooks at a time. He went from pre-World War II Steve Rogers to Captain America — or depending on how you feel about him, Lex Luthor. 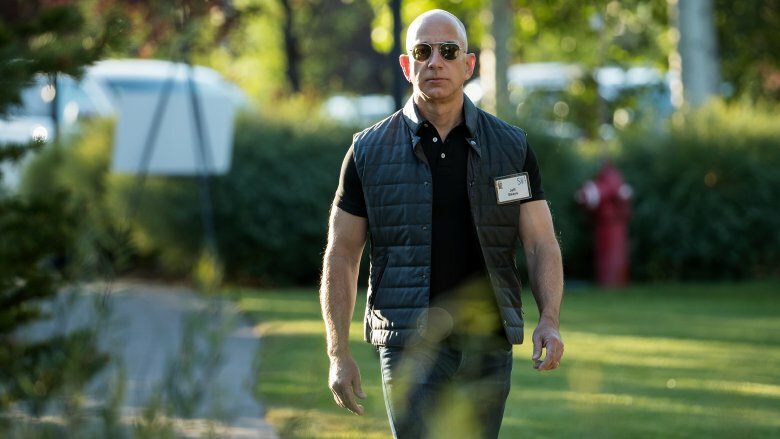 Anyway, the Internet freaked out, and a new meme was born: "Swole Jeff Bezos." "Former and current Jeff Bezos is literally the 'you vs. the guy she told you not to worry about' meme," @OriginalYoni tweeted. "'I sell books.' versus 'I sell whatever the f**k I want,” @aisthetica quipped, accompanied with then-and-now photos of the billionaire. We don't know Bezos' diet and workout regime, but it's safe to say the man is pushing iron on the regular, and his aforementioned obsession with eggs makes a lot more sense now. According to Money, all publicly traded companies are required by the SEC "to disclose CEO salaries and median employee salaries," so in May 2018, the world learned that the median salary for Amazon's workforce was "$28,446." Jeff Bezos' annual salary was $81,840, but his total compensation totaled $1,681,840 when including "things like security and benefits." That doesn't sound too extravagant for the founder and CEO of the largest online retailer known to man, right? Well, friends, this modest sum doesn't include the 80 million shares of Amazon stock he owns. You might want to sit down for this. Or lie down if you're already sitting. Maybe lean on something if you're in public. "According to the Bloomberg Billionaires Index, Bezos' net worth on Jan. 1  was $99 billion," reported Money. "On May 1  it was $132 billion, meaning it rose $33 billion. If you divide that difference by the 120 days in that period, you find that he made $275 million a day. Divide that by 24 hours in a day to get about $11.5 million per hour, the equivalent of roughly $191,000 per minute or — the clincher — $3,182 every second." Talk about next-day shipping. Are you okay? Don't get up yet. There's more. 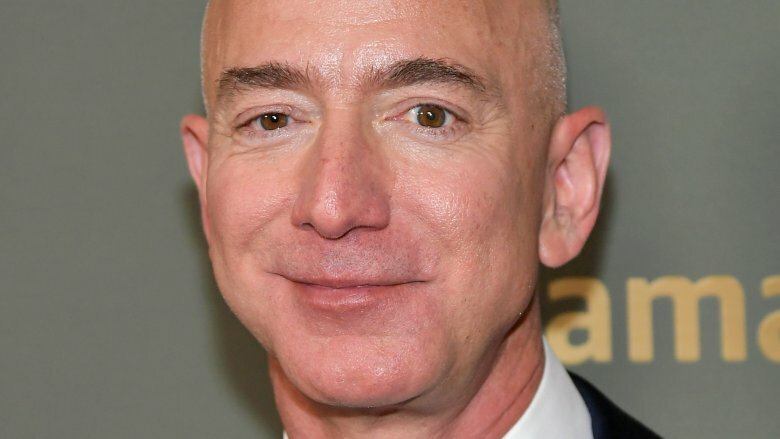 Forbes reported that Bezos' net worth increase of $39.2 billion from 2017 to 2018 was "the biggest single-year increase on the Billionaires List this century." Wow. Workers at Amazon's Staten Island facility threatened to unionize after the company allegedly failed to follow through on a promise "to provide buses to and from" the warehouse, reported the New York Post. Working "12-hour workdays five to six days a week," the commute is too much for employee Rashad Long. "Between my work schedule and my commute, I haven't seen my daughter in weeks," he said. He also claimed the warehouse isn't air-conditioned, for the sake of his automated co-workers. "We have asked the company to provide air conditioning, but the company told us that the robots inside cannot work in the cold weather," Long said. In 2018, workers at Amazon facilities in Italy, Germany, Spain, and the United Kingdom staged protests over low pay and working conditions. 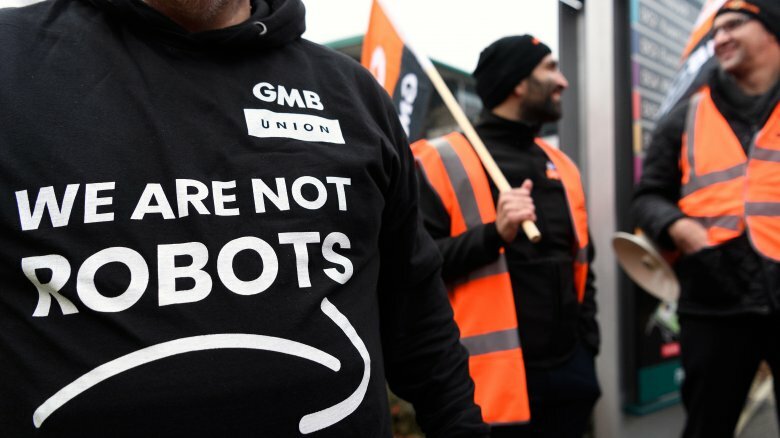 Tim Roache, the general secretary of GMB (the British trade union that represents Amazon workers in the U.K.) had this to say (via the Mirror): "The conditions our members at Amazon are working under are frankly inhumane … these are people making Amazon its money. People with kids, homes, bills to pay — they're not robots." According to a 2018 investigation reported on by the New York Post, some Amazon warehouse employees urinate in bottles because the "bathrooms are hundreds of yards away" and "staffers fear they'll get into trouble for taking too long away from the job." Amazon rejected that claim, issuing a statement insisting the company provides "a safe and positive workplace" for all employees. 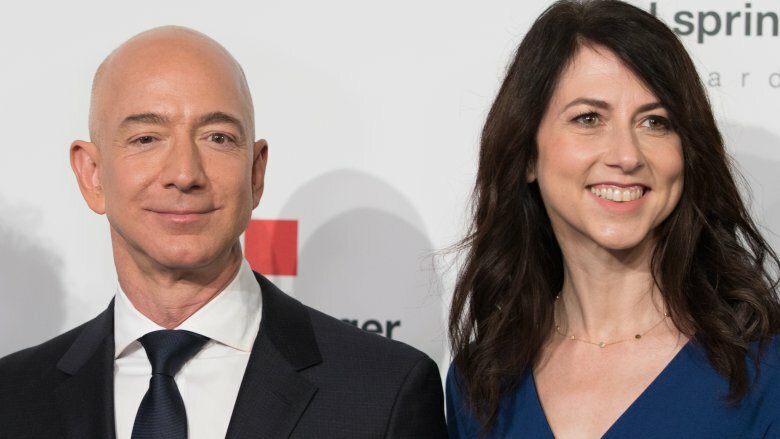 On Jan. 9, 2019 — the same day the National Enquirer dished the dirt on Jeff Bezos' affair with TV personality and pilot Lauren Sanchez — Jeff and his wife, MacKenzie Bezos, dropped a joint statement on Twitter announcing their divorce after 25 years of marriage and vowing to "remain cherished friends." Probably just a coincidence, huh? 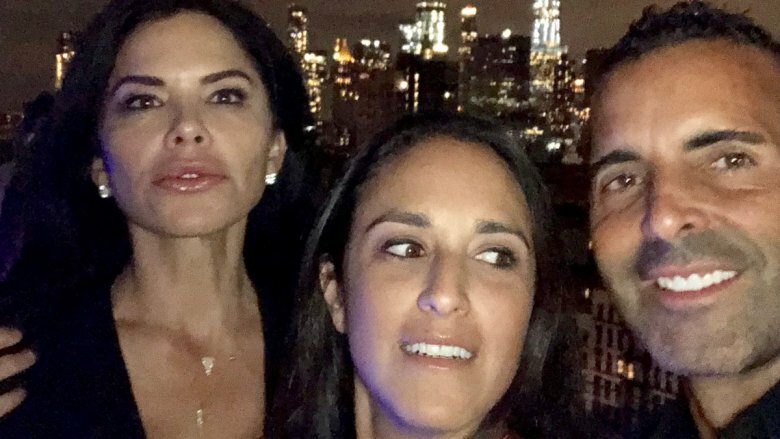 Now that racy text messages between the business tycoon and Sanchez have come to light, that whole "cherished friends" thing might stretch a little thin. By the way, the Bezos' didn't have a prenup, so there's reportedly about $137 billion on the line. According to TMZ, Jeff and MacKenzie will likely "split their incredible fortune right down the middle" in accordance with the law in the state of Washington, which will oversee their split. If that's true, theirs could be the world's most expensive divorce settlement. Just to understand how much money we're dealing with here: If Bezos had to give up "just 5 percent of his total net worth," MacKenzie would "thank u, next" to the bank with about $6.8 billion. After the National Enquirer released a bombshell report exposing Jeff Bezos' alleged months-long affair with Extra host Lauren Sanchez and their "raunchy text messages," Bezos launched a self-funded investigation to determine the source of the leaks. 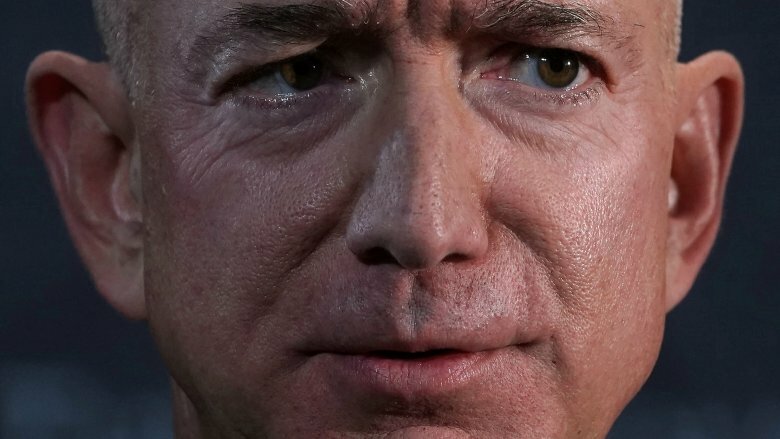 According to the Daily Beast, the world's richest man and his team of security consultants "explored the possibility that Bezos' phone was hacked," but "digital forensic analysis" proved otherwise. Investigators turned their attention to Lauren Sanchez and explored the possibility that she "leaked the messages in an effort to break up Bezos' marriage," but they reportedly found no evidence that she was involved. These findings then led Bezos and his team to believe this was a politically motivated hit allegedly orchestrated by National Enquirer publisher and CEO of AMI David Pecker, a man with close personal ties to Donald Trump. Further fueling the speculation was the president taking to Twitter to celebrate about Bezos' personal life being laid bare by the tabloid. "So sorry to hear the news about Jeff Bozo being taken down by a competitor whose reporting, I understand, is far more accurate than the reporting in his lobbyist newspaper, the Amazon Washington Post," Trump wrote. "Hopefully the paper will soon be placed in better & more responsible hands!" On Jan. 9, 2019, the news of Jeff Bezos' affair with Lauren Sanchez made national headlines. Since that time, it appears the media scrutiny has taken a toll on the couple. According to Page Six, the pair was "last spotted in public together at the Golden Globes on Jan. 6" and reportedly haven't been together since. While Bezos joined NFL Commissioner Roger Goodell's suite at the Super Bowl, Sanchez was notably absent. Who wouldn't want to treat their girlfriend to a private suite at the Super Bowl? Well, it's complicated. A source told Page Six that Bezos and Sanchez were "in constant contact, but the palace intrigue exploding behind the scenes has made it extremely difficult for them to see each other." Bezos might also be facing from pressure within his company to cut ties with Sanchez. "They're very much in love, but there are people in the Amazon camp who would be much happier if Jeff and Lauren weren't in love," the insider alleged. "Things have got rather messy." Jeff Bezos' coughed up some cash for Tom Hanks to narrate his Super Bowl LIII commercial for The Washington Post (Bezos bought the paper in 2013), but he had plans for another one that never aired. According to Page Six, Bezos "pulled the plug" on a $20 million "ad for his spaceflight company, Blue Origin," after it was revealed that Lauren Sanchez shot aerial footage for the spot. "Bezos did shoot a Blue Origin ad, costing around $15 to $20 million, that was scheduled to run during the Super Bowl," a source said. "There was talk that he spent so much money on it because he wanted to be close to her. But the speculation is that he pulled the ad because it would be embarrassing because Lauren worked on the ads." Both Amazon's Alexa and Amazon Prime ran coveted Super Bowl ads, so we're thinking Bezos will be okay. He only had three Super Bowl commercial instead of four. Try not to feel too bad for him. 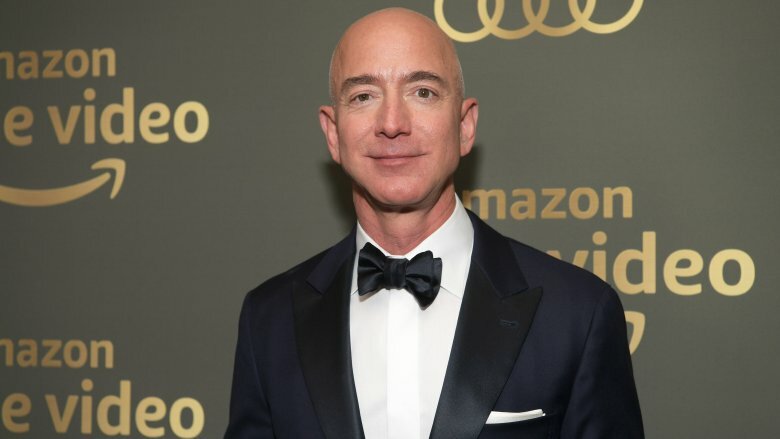 In an explosive blog post on Medium published Feb. 7, 2019, Jeff Bezos accused David Pecker, the head honcho of the National Enquirer, of attempting to extort him. Bezos included emails from AMI's chief content officer, Dylan Howard, who allegedly threatened to release Bezos' intimate texts and photos if the tech giant didn't stop telling the media that AMI's coverage of his personal life was politically motivated. "Something unusual happened to me yesterday. Actually, for me it wasn't just unusual — it was a first. I was made an offer I couldn't refuse. Or at least that's what the top people at the National Enquirer thought. I'm glad they thought that, because it emboldened them to put it all in writing," Bezos wrote. "Rather than capitulate to extortion and blackmail, I've decided to publish exactly what they sent me, despite the personal cost and embarrassment they threaten." Taking it a step further, The Washington Post's Manuel Roig-Franzia told MSNBC that Bezos' team thinks it's possible a "government agency" hacked the Amazon founder's phone. Pecker's lawyer, Elkan Abramowitz, appeared on This Week with George Stephanopoulos to push back on those claims. Calling its exposé a "usual story" that the National Enquirer received from "reliable sources," Abramowitz said, "It absolutely is not extortion and not blackmail." He added, "AMI did not want to have the libel against them that this was inspired by the White House, by Saudi Arabia, by the The Washington Post." In a plot twist you'd only see in a soap opera, Lauren Sanchez's brother reportedly leaked the couple's texts and photos to the National Enquirer. According to the Daily Beast, an insider "who has been in extensive communication" with AMI executives identified Michael Sanchez (above right) as the alleged culprit. While they don't believe Michael hacked his sister's phone, he was interviewed during the probe and insiders claim that Bezos' team "strongly suspected Sanchez was the leaker" as the investigation wound down. "There is no one inside this inquiry process who doesn't believe he's ground zero," a source said. AMI attorney Elkan Abramowitz reportedly confirmed this during his appearance on ABC's This Week. "Bezos and Ms. [Lauren] Sanchez knew who the source was," he said. "Any investigator that was going to investigate this knew who the source was." If Michael didn't hack Lauren's phone, how did he get access to the texts and photos? According to MediaBuzz host Howard Kurtz, "sources close to the couple" confirmed Lauren allegedly shared them with her friends, and her assistant had access to everything on her computer. Yikes. For his part, Michael declined repeated requests for a comment from the Daily Beast, but he did tell Kurtz, that he's "never seen" the leaked material, knows that there are "multiple suspects," and that "any attempt to implicate him in this is 100% false."